I’m happy to show off SeenDB! 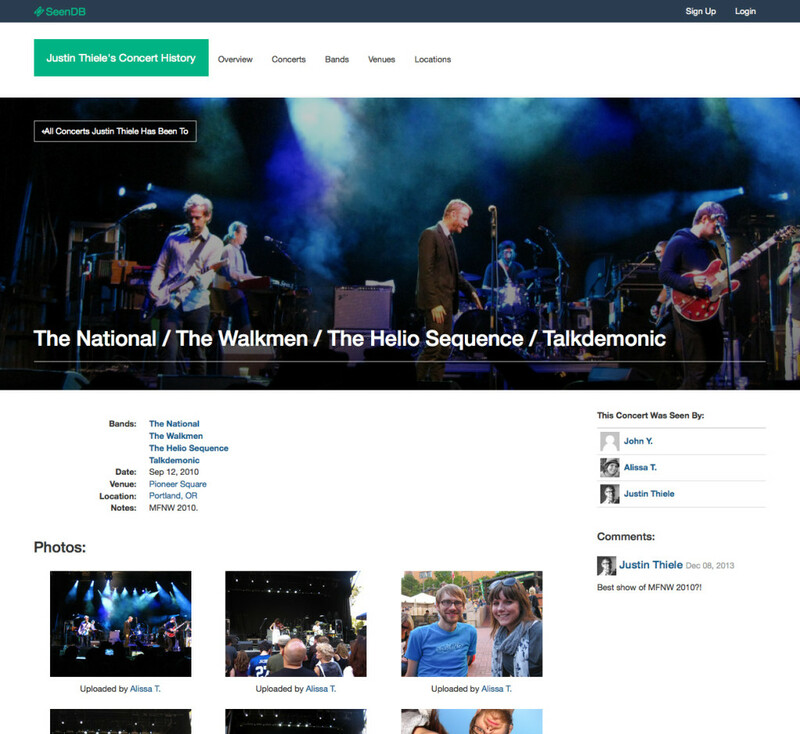 It’s a new hobby project to catalog and remember all of the concerts you’ve been to. You can create your entire concert history with the bands, dates, venues, locations, photos, and who you went with. 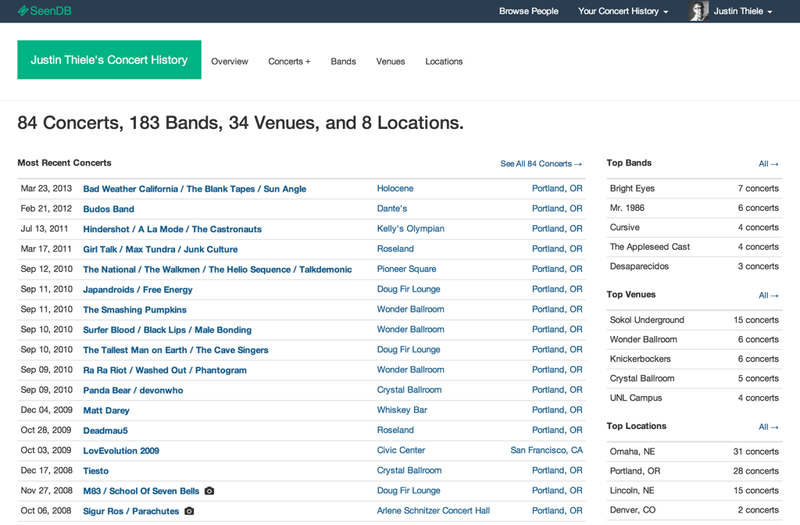 SeenDB then makes this data easily browsable and sortable and shows you the bands you’ve seen most, most frequent venues, and your most active years. One of the best parts is shared photos. You can easily upload your photos from the concert and see photos taken by other people who were at the show! If you’re curious to learn more about SeenDB and why I created it, take a look at the About SeenDB page.